When a house hosts happy lives for many years, you can feel it. Sitting high on one of Mt. 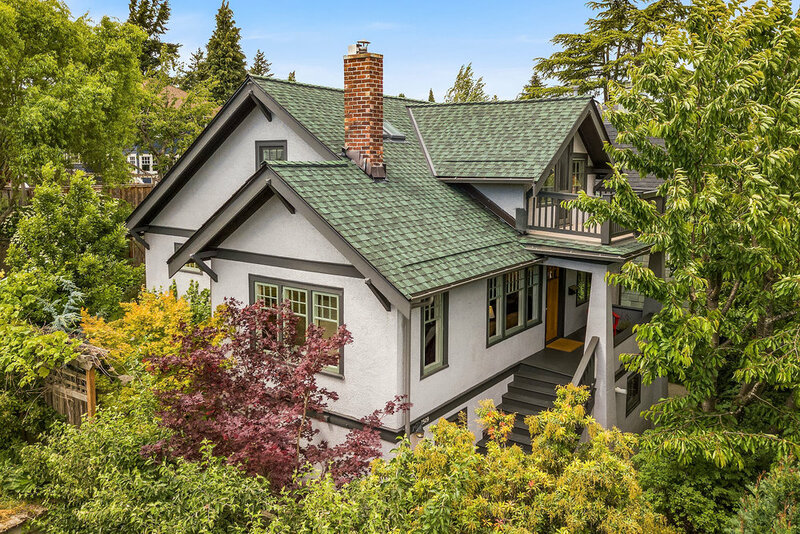 Baker's most desirable streets, this extensively remodeled 1921 home overflows with good surprises...and that intangible Happy House feeling. To the south, a protected open plot guarantees abundant light, privacy and breathing room. 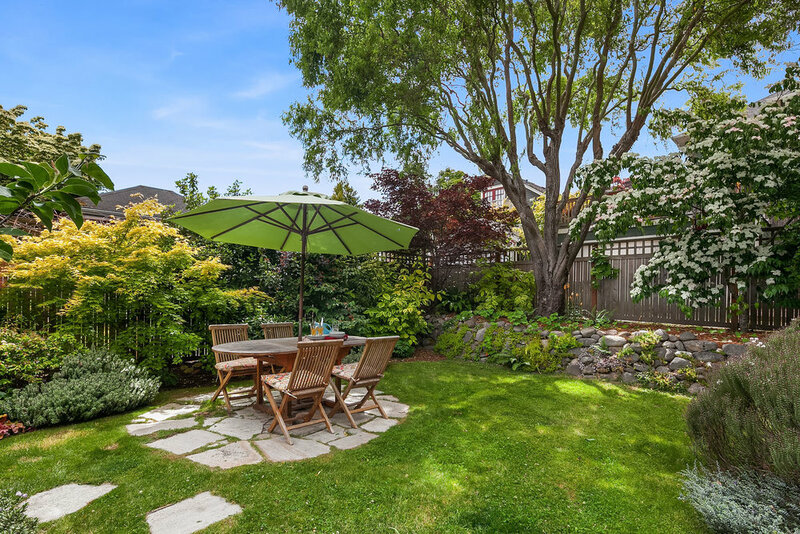 At the rear, level alley access, a garage, and lush gardens. Indoors, a sunny nook hides behind the fireplace, skylights ring the top floor, and tasteful custom craftsmanship graces the kitchen. The final big reveal? Crisp modernism on the fully finished lower level, with heated concrete floors and frosted glass panels. And if you know the neighborhood, you already love the location. For picnics, play time and tennis games, Mt. Baker Park is two blocks away--the beach a few more. Wander home past century-old mansions to summer's eve dinners beneath the willow tree. Don't feel like cooking? There's always Mioposto just around the corner, or grab some take-away from The Feed Store. Heading further out? Light rail and major freeways are just down the road. It's a sweet life. Copy of Welcome. Get comfortable and stop awhile. Copy of Nestled in greenery, privacy and covenant-protected southern light. Copy of Summer calls. Spill out into the garden tonight. Copy of The holy grail: a level alley entry with a real garage. Copy of The kitchen door. Bring in the groceries and set dinner in the garden with ease. Copy of Archways hide a sunny spot behind the fireplace wall. Copy of Secret mini-library? Music room? Writing cubby? Make it yours. Copy of Casual or formal, family or friends; we've got you covered. Copy of The house of archways and light. Copy of Good taste(s) and mansion-worthy quality in the custom kitchen. Copy of Coming in? Toss the coats and shoes here. Copy of The first of four bright bedrooms, this one on the main floor. Copy of The dignified main floor bath, robed in marble. Copy of Upstairs, a touch more modern, with built-ins and a deep soaking tub. Copy of Bedroom #2: skylit, overlooking the gardens. Copy of Bedroom #3, sweet as a summer cottage, with a private deck. Copy of Slow down and listen to the leaves in the breeze. Copy of Surprise! 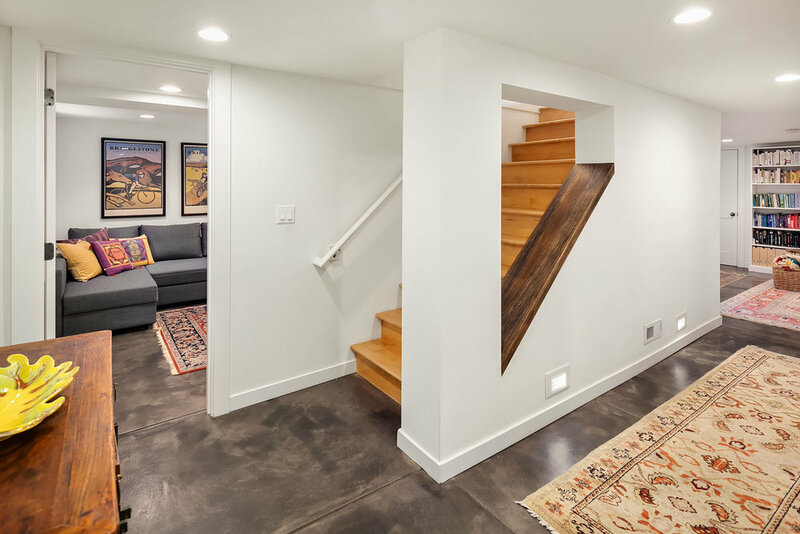 An exquisite, modern, fully finished lower level. Copy of A lovely fireplace and heated concrete floors throughout. Copy of Frosted glass panels conceal a studio/den/home office. Copy of With a separate entrance, this floor keeps getting better. Copy of Bedroom #4: double duty guest room/second home office. Copy of The perfect modern bath to serve the lower level. Copy of Plenty of space in the crisp laundry room. Copy of Just 2 blocks to the park and shops, and a couple more to the beach. Welcome to Mt. 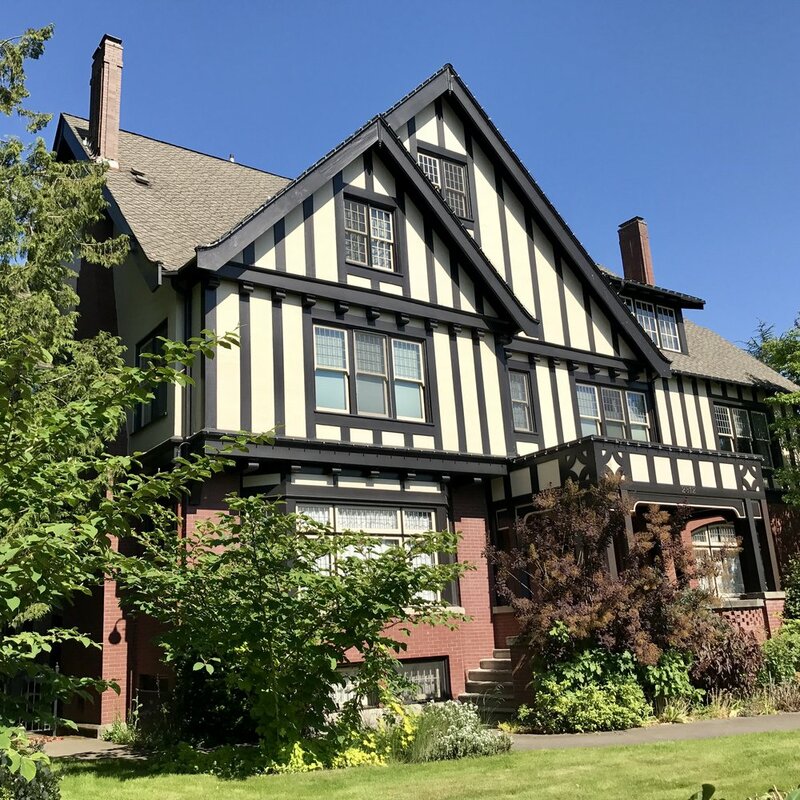 Baker, loved by those who live here for its strong sense of community, its leafy boulevards lined with eclectic 100-year-old mansions and cottages, its acres of park lands, beautiful vistas and its lake shore walking paths. 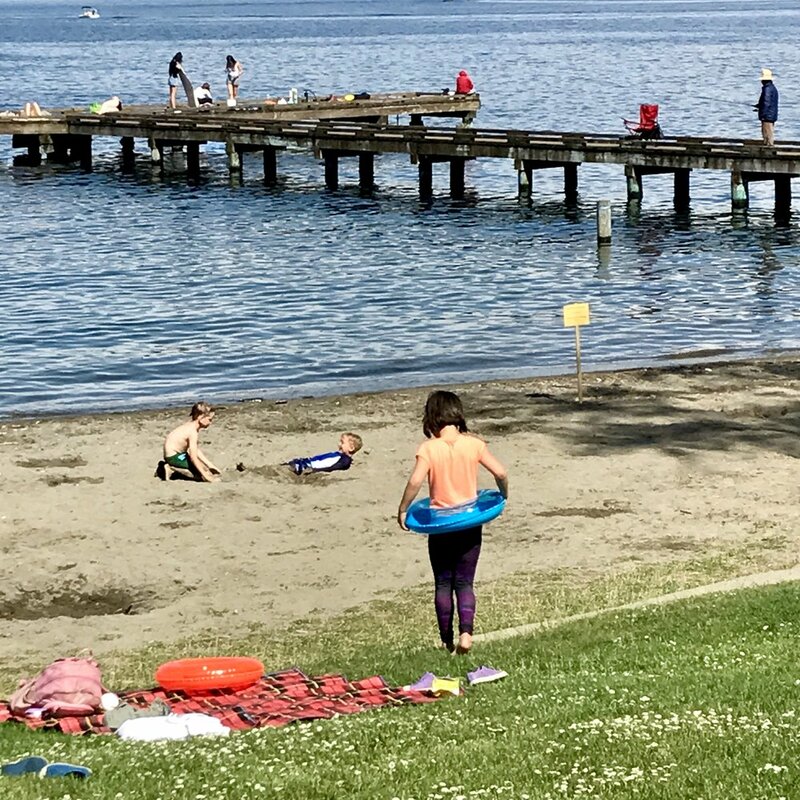 More treats: the rowing and sailing center, Bicycle Sundays along Lake Washington Boulevard, and the playful family beach and fishing pier. 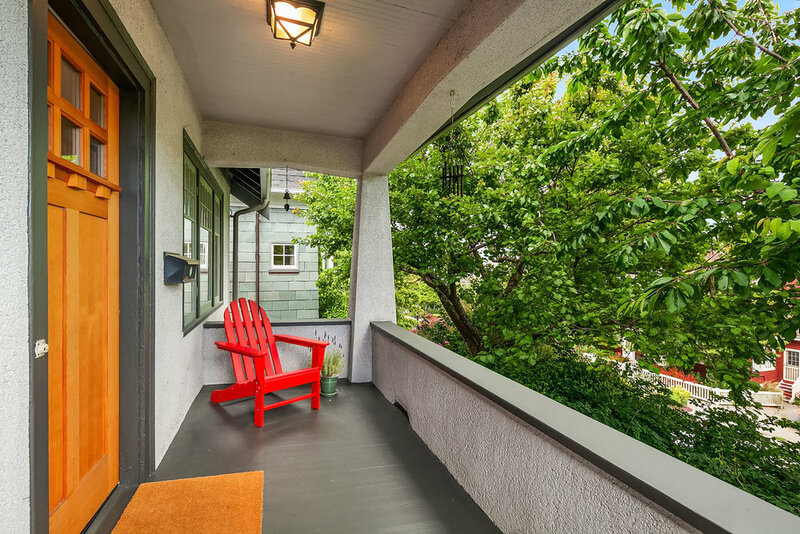 You'll also appreciate the proximity to all the village delights of bustling Columbia City, as well as downtown Seattle and the freeways. Move here and you may, like many neighbors, stay for decades. 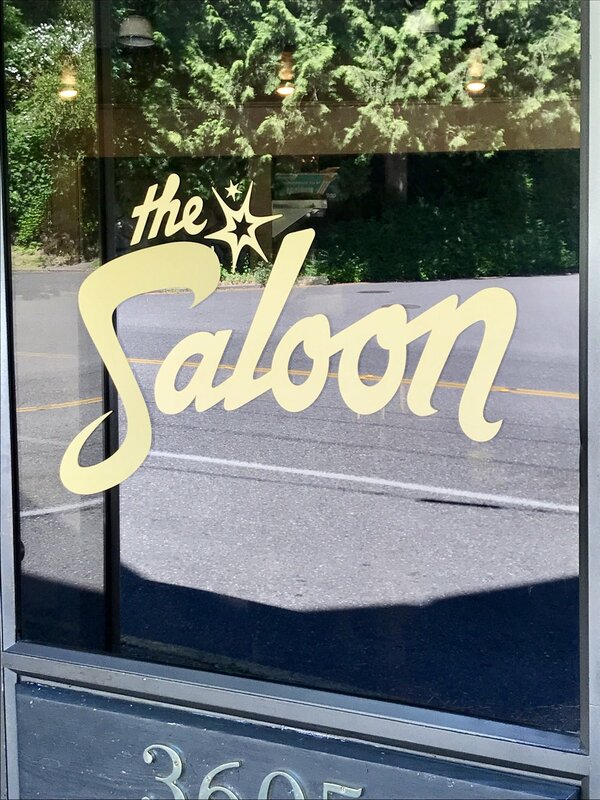 Thursday, June 21 11:00 a.m. - 2:00 p.m.
Saturday, June 23 1:00 p.m. - 4:00 p.m.
Sunday, June 24 12:00 p.m. - 2:00 p.m.
*Lower level, 4th bedroom may be non-conforming due to height of egress window off the floor. **The garden lot to the south is owned by the neighbor, who created a permanent space buffer by recording a no-build covenant on title.